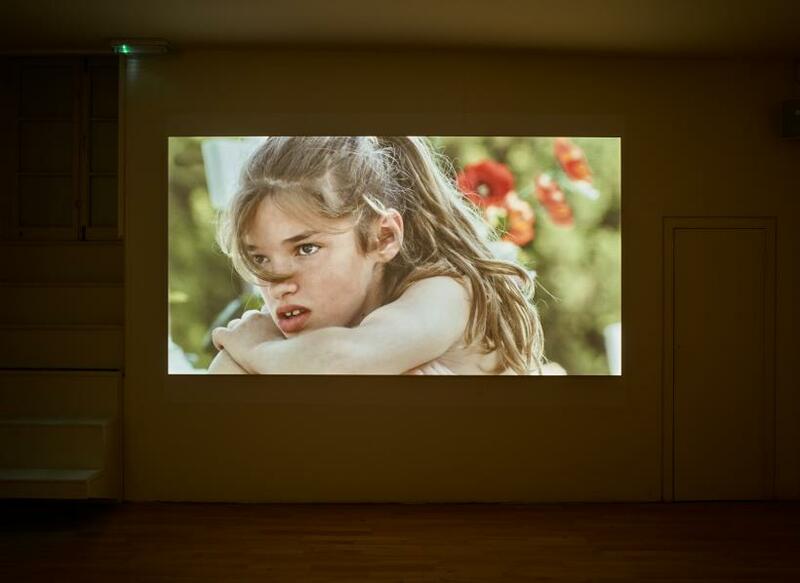 Credit : Courtesy the artists and Frith Street Gallery, London. Photographer Steve White. 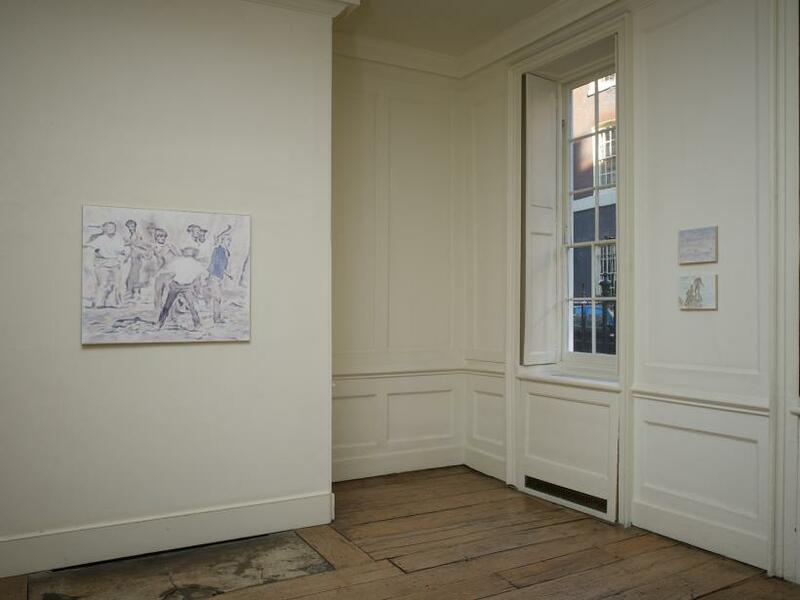 The wooden floors of Frith Street Gallery’s townhouse space undulate and lead into its front room, a bright domestic space where a series of milky watercolours by artist Adrian Paci are absorbed by its walls. 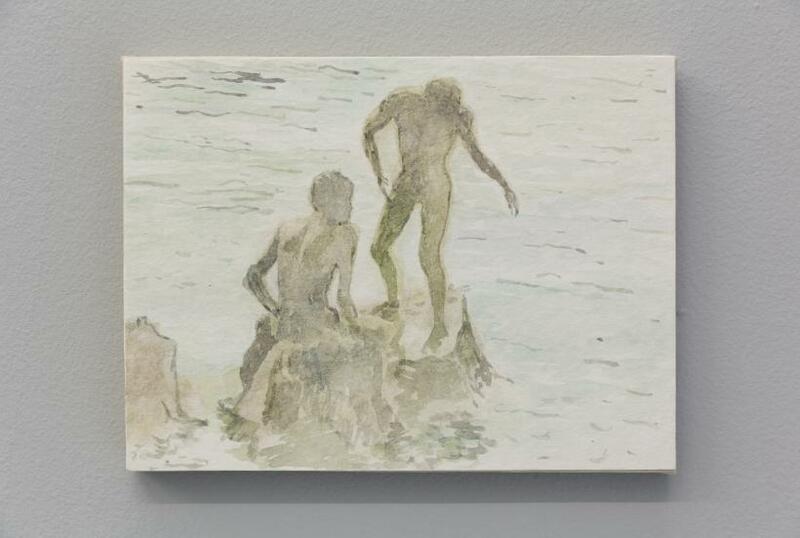 Painted on paper mounted canvas and wooden board, the colours are subtle, the focus is soft and at a distance the works present seemingly innocuous figurative scenes. 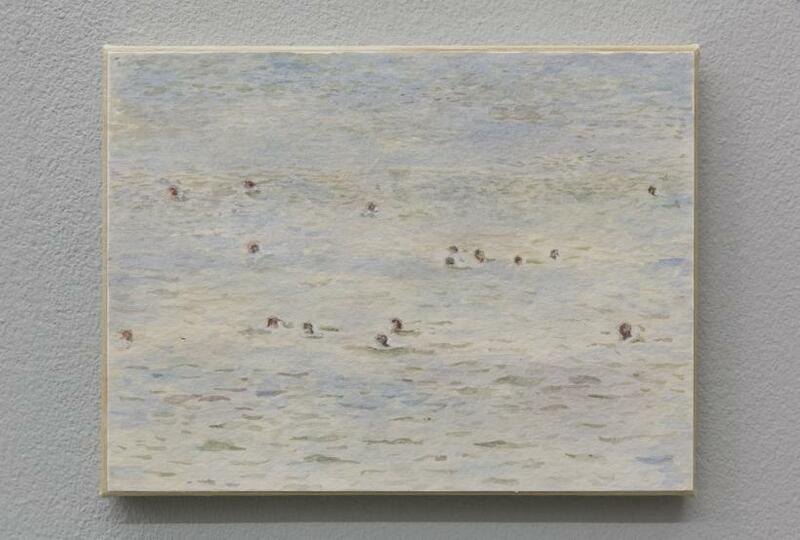 ‘Bagnanti’ (2014), two bathers and ‘Nuotatori’ (2014), a seascape dappled with swimmers are, however, not the habitual leisure routines they first seem, and neither is ‘I rivoltosi’ (2014), a cluster of men set as if in the middle of a sports game. 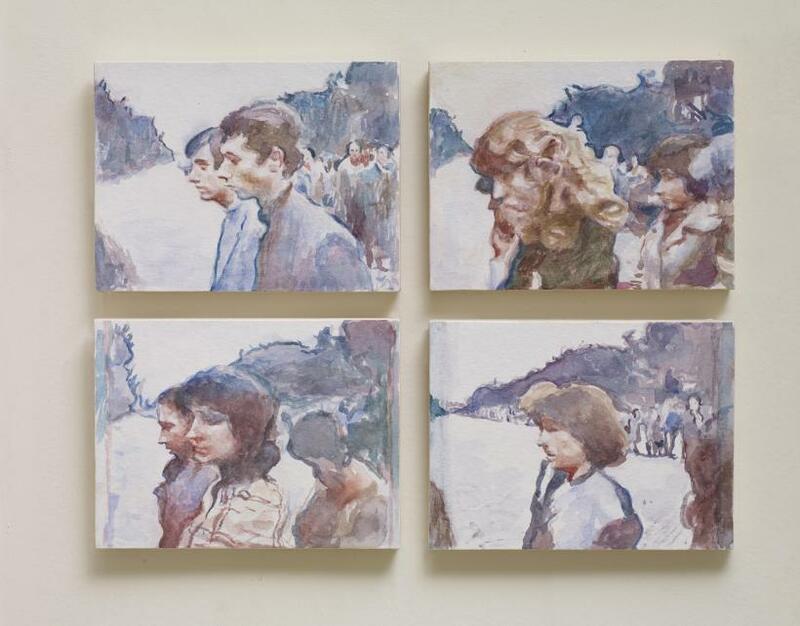 Paci’s deliberately ambivalent treatment of these forms skews the viewer’s perception, recontextualises the images and deters from the fact that these scenes, taken from YouTube footage and publicly available films, capture immigrants arriving to the Italian coast and Albanian army training sessions respectively. This abstraction and transposing of images to create an indiscernible, placenessless is a reoccurring concern for Paci as seen in previous work including ‘Passages’ (2009). 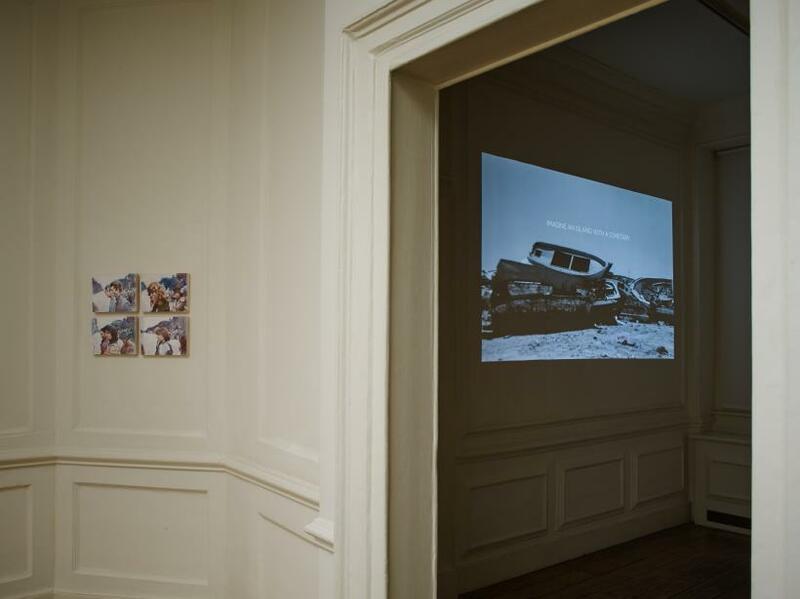 Informed by his personal history of exile from Albania to Milan in 1997 during an armed uprising, he is characteristically drawn to dislocating the viewer and exploring the ambiguities of space, and the intersection between fact, fiction, reality and fantasy. His work has found a suitable counterpart in Giuliana Racco, and the transition into the gallery’s next room to the artist’s black and white film, ‘Mezomaro’ (2016), meaning ‘Mediterranean’ in the invented nineteenth century language Esperanto, is seamlessly curated. 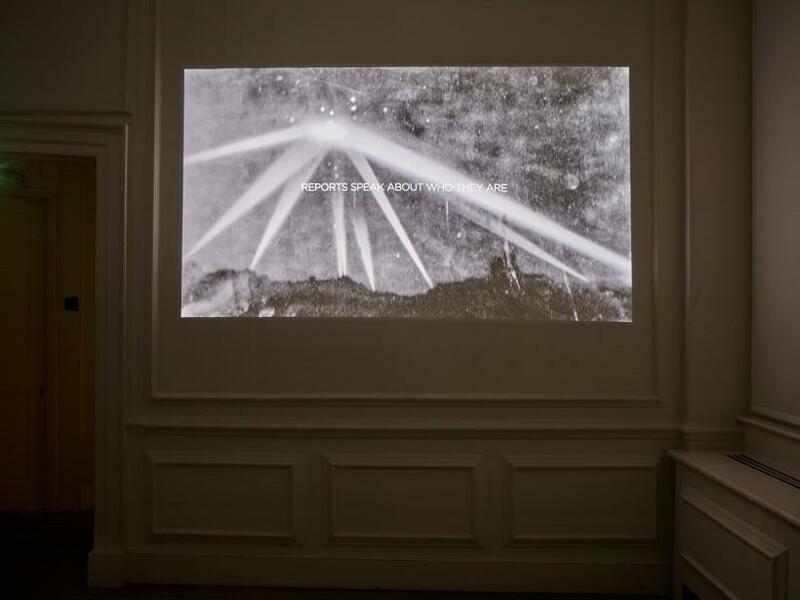 Racco’s film confronts the viewer with a surreal narrative told in white capitalised text overlaid on a background of archival images, newspaper clippings, photographs and light chalk drawings accompanied by an electronic composition which oscillates in volume. Departing from Ludovico Ariosto’s poem ‘Orlando Furioso’ (1516), the piece situates the viewer on Lampedusa, an Italian island south of Sicily, which has gained prominence as a place for refugees, and can be considered symbolic of the current migrant crisis. The combination of photographs from this ‘island of hope’, as The Guardian once described it, and Racco’s text, encourage the viewer to scrutinise their relationship to space, and acknowledge the absent and excluded flows of people; ‘Imagine an infinity of shipwrecks’ she demands. ‘Imagine an island with a cemetery for the broken boats washing upon its shores,’ she continues. The territory then changes and the film takes the viewer into the sky, stars and through images of a series of observation instruments including Jantar Mantar, a series of Mughul architectural astronomy instruments in Jaipur. 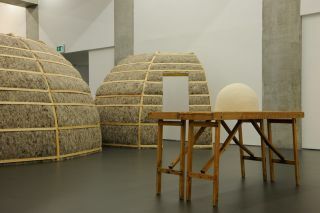 This sequence offers a portal to utopia and using images of crowded globe-making workshops, and extraordinary forms of transport such as a Rukma Vimana taken from ancient Sanskrit text, the artist provides infinite mobility and wills the audience to ‘Imagine another place … a place you would like to go to … maybe this place does not exist’. This play and extreme contrast between limited and limitless movement is undercut, and the fantasy punctured with the uncomfortable reality of an image of a border checkpoint patrolled by a military vehicle; ‘Would you be welcomed when you arrived? … Would you find you wits there?’ the artist probes. 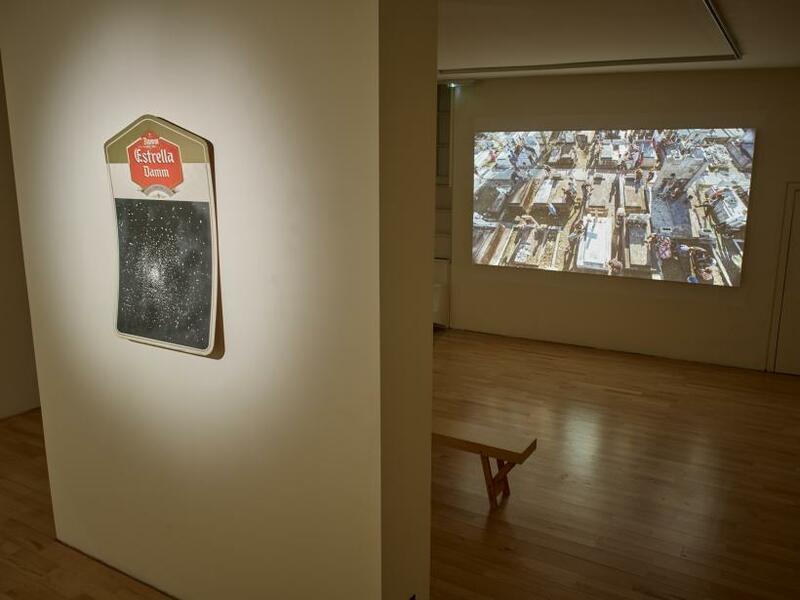 These questions follow the viewer downstairs where ‘Untitled’ (2016), a chalk drawing featured in the film, is found on the base of an Estrella Damm beer branded signboard. 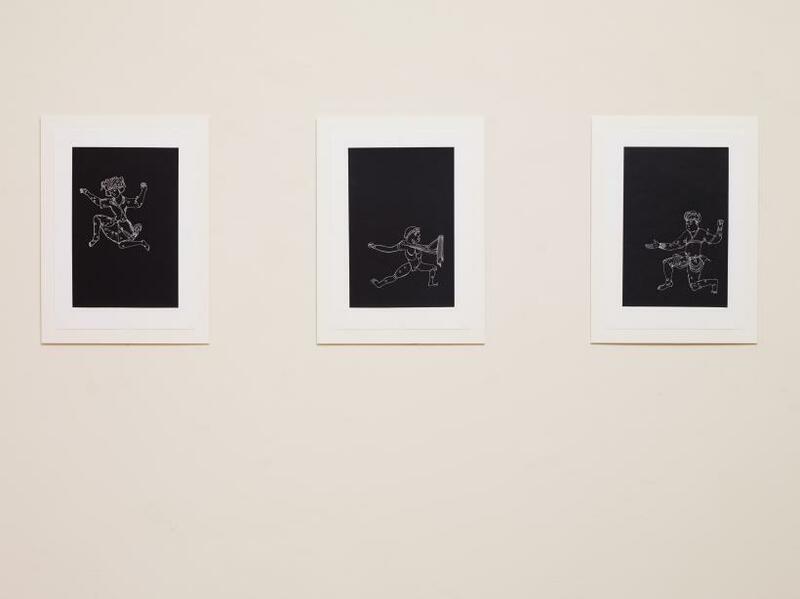 The nebula form is joined by ‘Untitled’ (2016), three mythological men depicted with fine white lines on black Fabriano paper, mounted on a parallel wall. 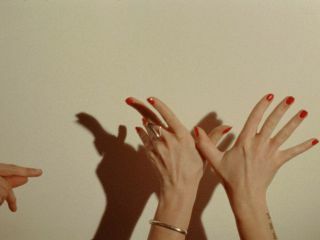 These discrete characters, poised creating maps and leaping as if the midst of a ritual, are at risk of being missed as the hang directs attention to Paci’s film, ‘The Guardians’ (2015) projected in the other half of the gallery. Extending his concerns with location, nostalgia and transience, the film introduces the artist’s hometown Shkodra, Albania. The sequence moves across a series of architectural details, filling the frame with columns and ornate, intricate stone work before expanding the perspective on to a mossy, deteriorating Virgin Mary and cross. A Catholic cemetery slowly emerges with vast concrete tombs in disrepair, a consequence of the site’s abandonment following the ex-Communist regimes of the 1960s banning all religious iconography. The austere atmosphere is altered by the appearance of a group of children who pour soapy water over the sides of these rectangular blocks, pull out the weeds and scrap vegetative debris away from the edges of the tombs. Together the collective take new ownership of the site, rejuvenating the city’s lost memories and identities, and enabling the artist to reclaim his place in the city and reconcile his displacement. The artist’s personal trajectory is felt and in common with Racco’s work, he shows a concern for missed histories, the lost and invisible. In bringing these artists together ‘Another Place’ offers a poignant series of reflections suited to the current political rhetoric.